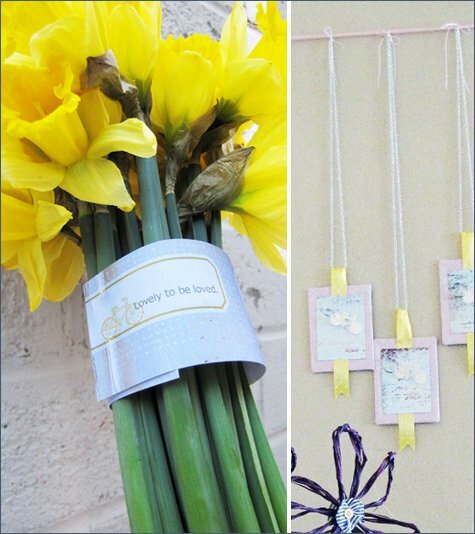 “My mom loves daffodils, so that was an easy choice for our pre-Mother’s Day Tea. Wrapped in a Mother’s Day bouquet label, the flower’s brightness stood out amidst the vintage backdrop of the day. A rusty yellow bike reminds me of childhood more than any other item… The freedom of being able to ride for hours, and when the day was spent coming home to dinner, hugs and the loveliness of having a mom. 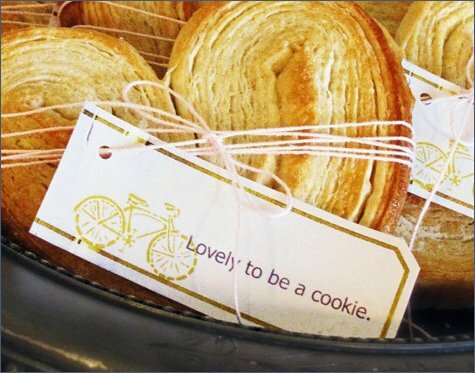 Each mom at our Mother’s Day tea received a yellow bicycle key chain attached to a thank you card for all their wonderfully important work! 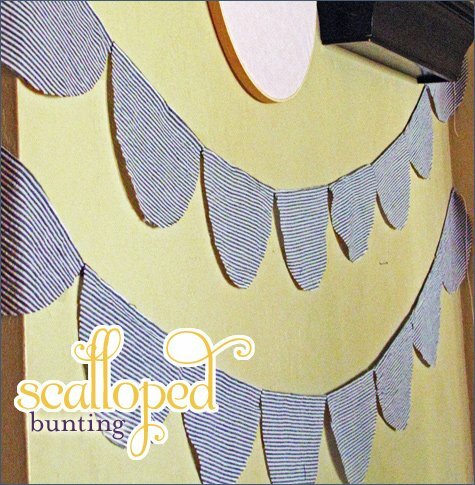 The favors were hung on the wall creating an artful display, inspired by an idea I first saw here utilizig a pin board. I wanted to make it a bit more formal for tea, so we strung thread around two tiny nails and hung the favors with thin metal chains. As it turned out, they hung daintily, like fine necklaces from the wall. 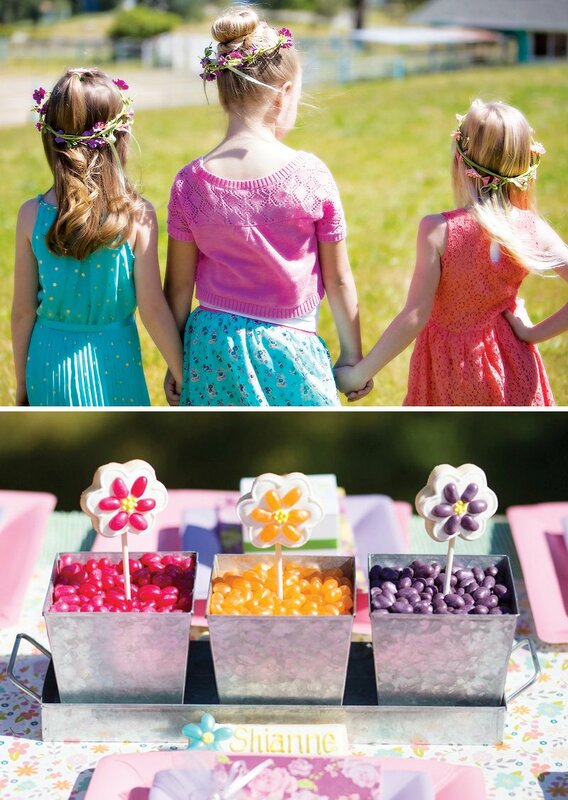 Accessorizing with favors might be my new favorite trend! 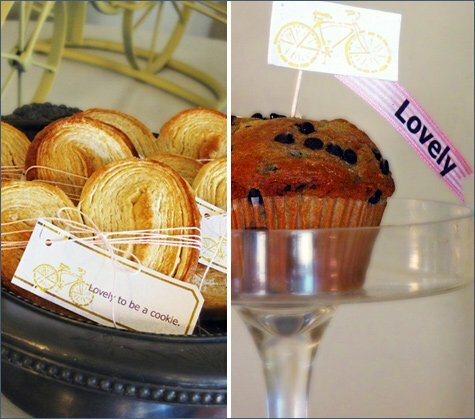 The muffins each had flags with yellow bikes on top and a pink touch of loveliness to begin the meal. I took my first try at freezer stenciling and used the tutorial found here. 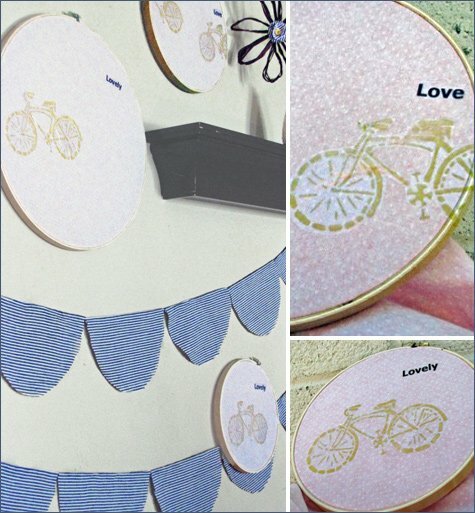 My only advice if you decided to try this project is to pick a very simple design – hundreds of cuts for bicycle wheel spokes made it quite the challenge! 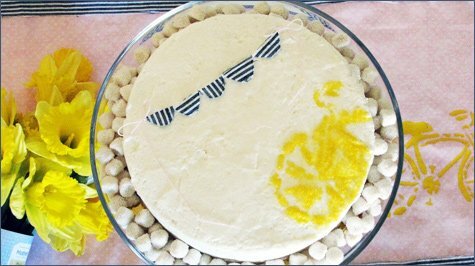 I used my homemade stencil to decorate the cake with a yellow sprinkled bike. Afterward, with a little yellow paint it livened up the wispy pink and gray stripped table linens. 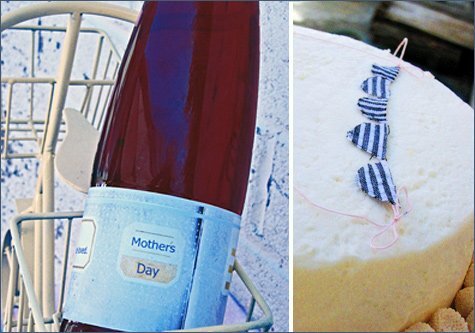 We served tea and sparkling punch labeled in the Mother’s Day labels I designed for the day. I love the label’s mixture of old world charm in the detail and distinctly modern touches in the type. 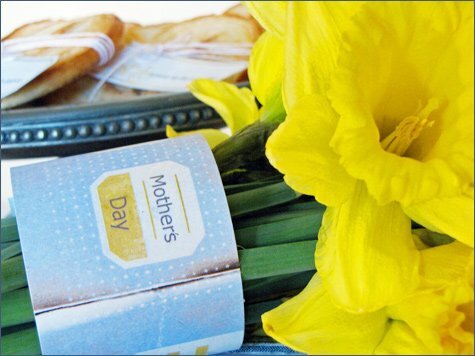 It is the perfect size for a double bouquet of flowers handed to mom or even sent from far away. To compliment the bunches of daffodils, we made individual raffia flowers (DIY tutorial here) and placed them around the room in modern white vases. 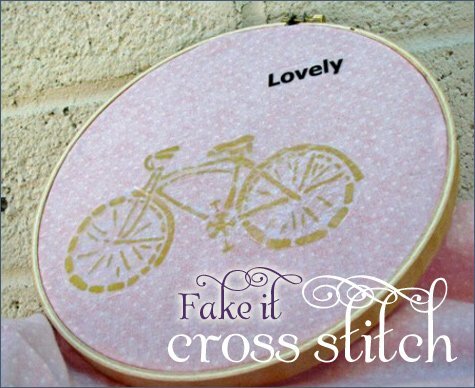 On the wall hung large gray and white stripped bunting with fake yellow bike “cross stitch“. The cross stitches were an extremely easy & fun project that brought a distinctly vintage flair to our afternoon, and the two-toned scalloped bunting became a perfect backdrop for our tea. It was a wonderful day for afternoon tea to celebrate with good friends and amazing moms, even if it was a few weeks early. 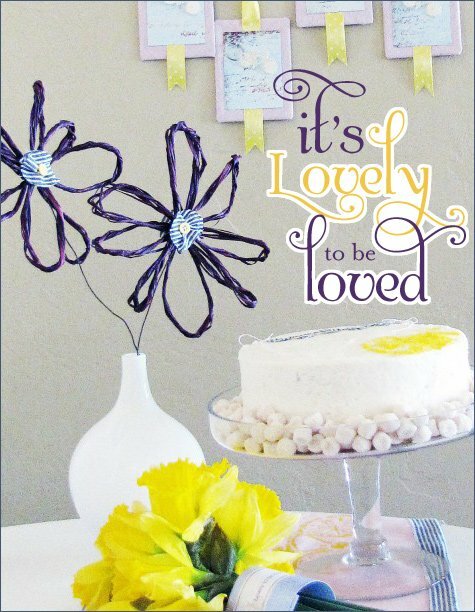 ;) May this inspire many tea’s, and flowers, and lovely details as the actual holiday of Mother’s Day approaches! 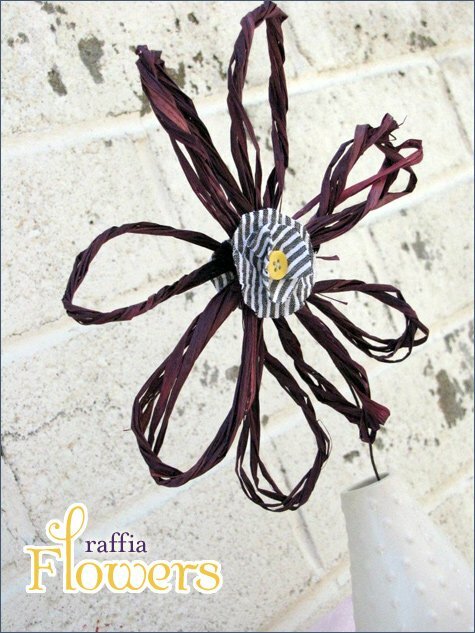 LOVE the raffia flowers idea! Genius! I absolutely adore the yellow bike theme. I remember my yellow bike (with the polka dot banana seat) like it was just yesterday I was zipping around my neighborhood. The color combo of yellow, white and blue is refreshing! 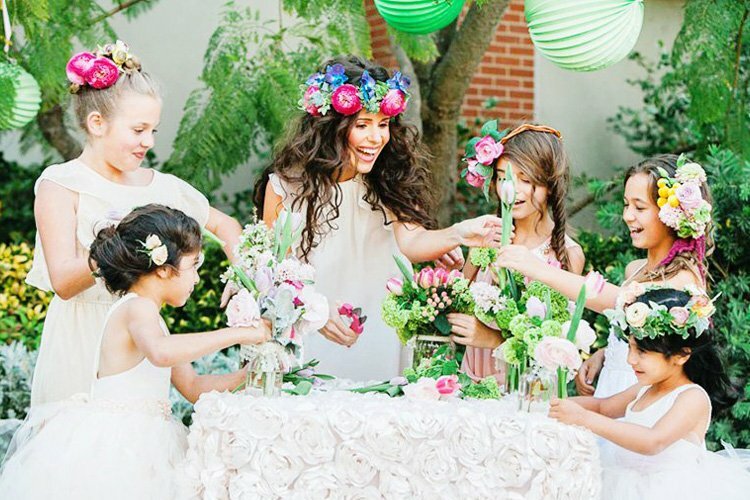 Thanks, as always, for sharing such a beautiful party theme. 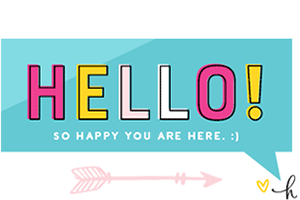 Thanks for the feature- you make it look even more lovely! This is a great idea! I’ve been wanting to plan a brunch for my mum this mother’s day. Thanks for the inspiration. 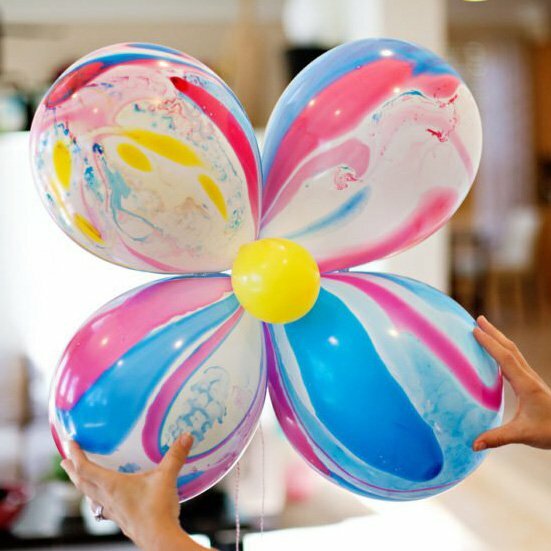 These are nice and pretty ideas if that day comes! 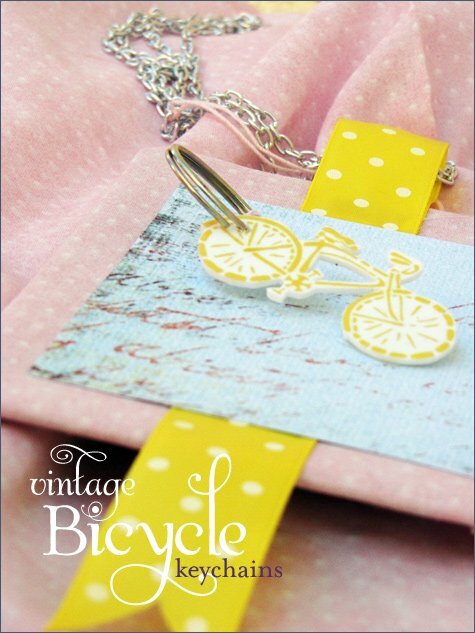 The daffodils, yellow bike, and polka dots are so fresh and fun! 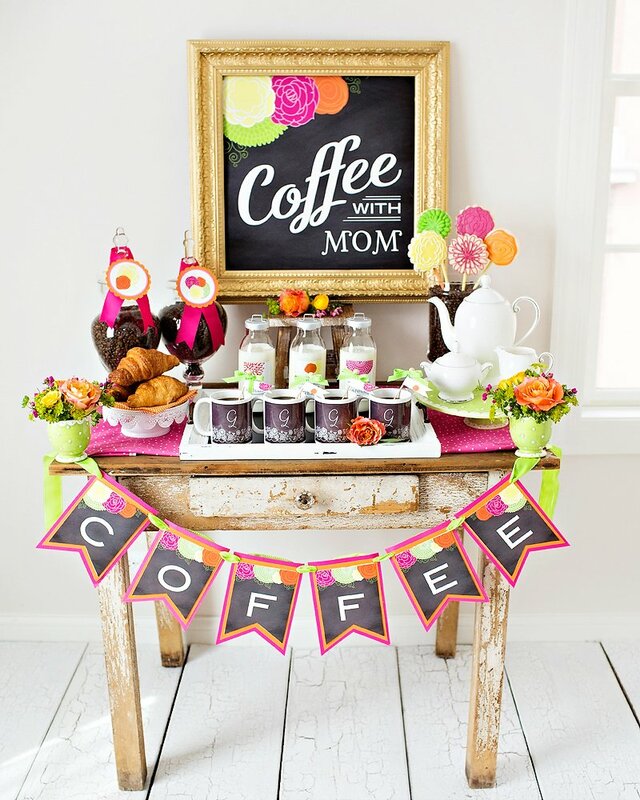 This would make a great mother’s day brunch or bridal shower luncheon! love all the decorative details and the color palette! All the ideas are really lovely. The bike makes a nice statement as I, too, remember when I could go out and ride my bike around to all my friend’s houses and be gone for hours, then come home and my Mom was there with a snack or dinner ready. Can anyone even imagine letting your child be gone for hours and not being exactly sure of where they are, and that being okay, in today’s world? This is so beautiful brunches for mothers. These are looks like love of son or daughter to their mother. You can also organize special party with help of party bus who can make wonderful day for you. The raffia flowers are so neat! I need to make some of those. Love the whole set up! 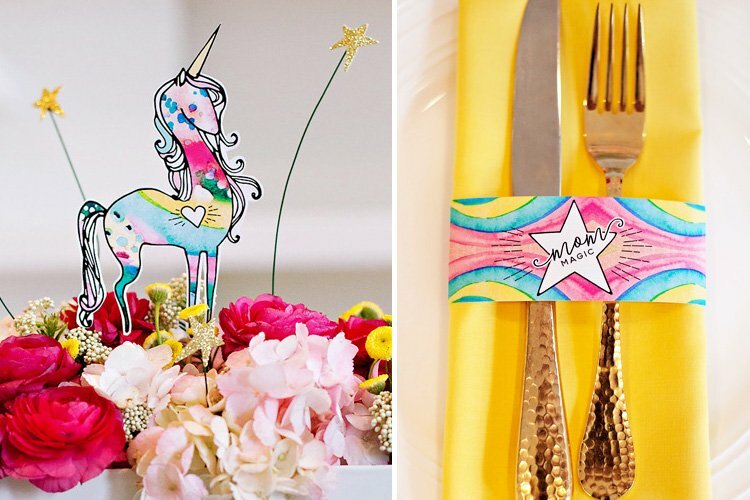 So lovely to see a party done for grown-ups! love the ideas throughout this theme! so novel!